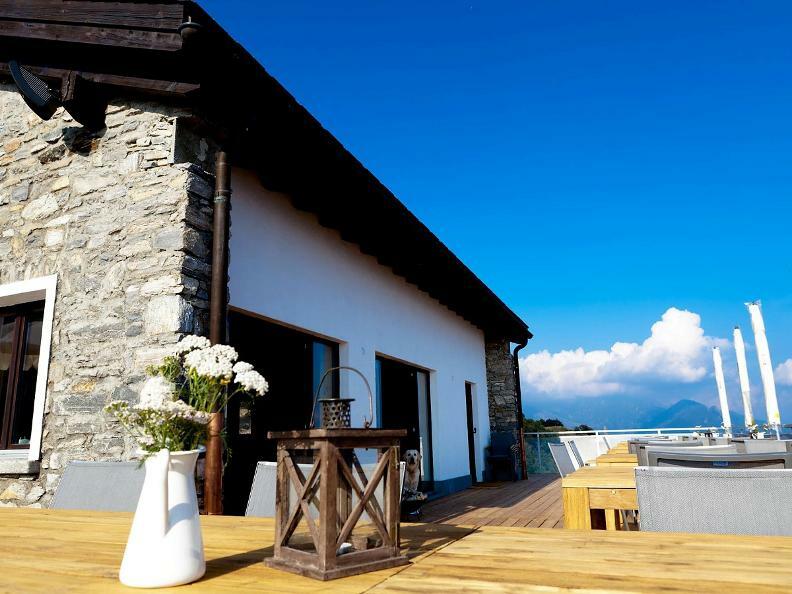 The dining room with a large fireplace accommodates 20 people; additional 40 seats are available on the beautiful terrace with a breathtaking view of Lake Maggiore. 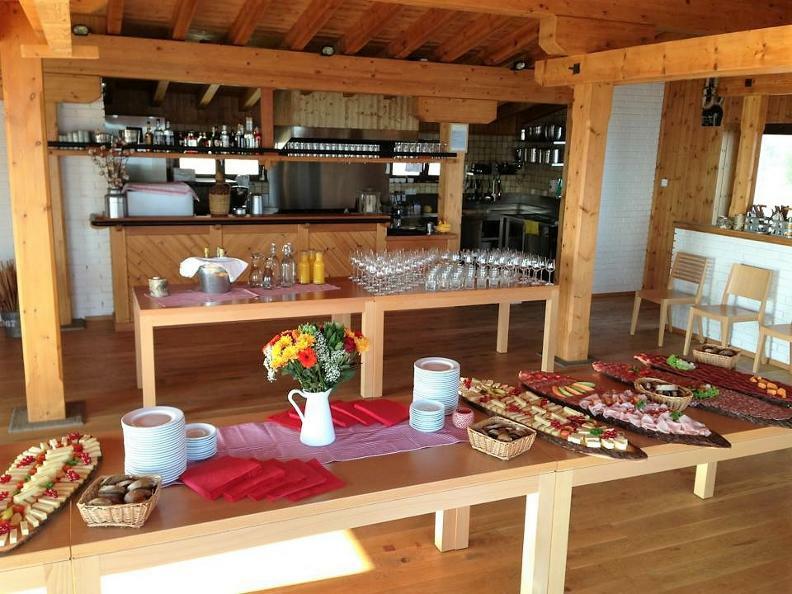 The open kitchen offers homemade food that varies depending on the season. 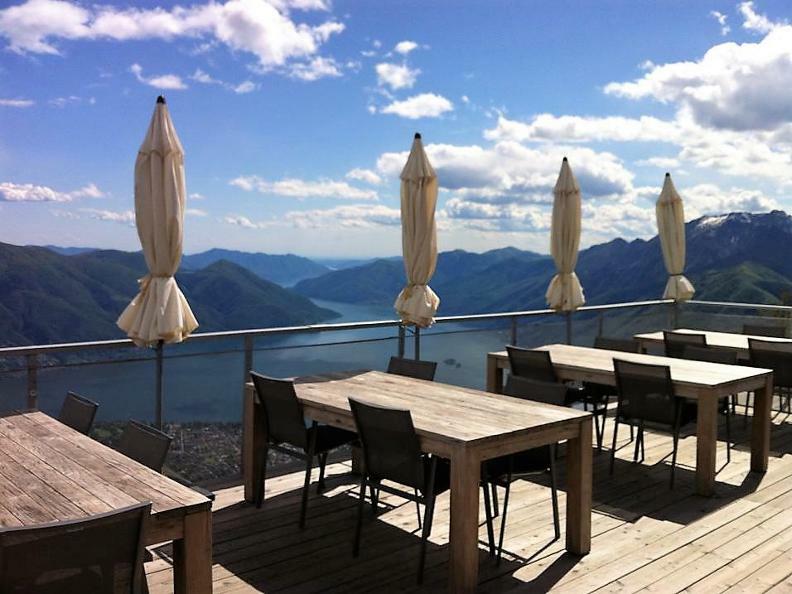 The restaurant is open daily, reservations are recommended. 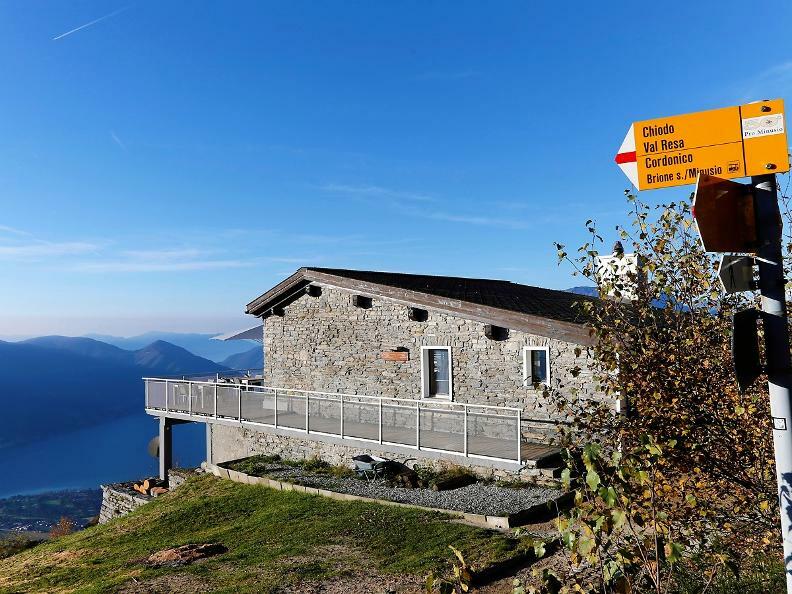 The hut is closed during the annual revision of the cable-cars (Mid-November – Mid-December).